Former Donnie Tanner Memorial champion Devin Dixon found some racing room at the top early and used the knowledge to gain the win in the 2019 edition of the 50-lap event for Pro Late Models, presented by Stingray Performance Parts. Dixon started the contest from the fourth spot after gaining a win in the first heat. At the start, defending champion Ashton Winger took the early lead with heat winner Travis Varnadore in tow. Tyler Clem had slipped ahead of Dixon with third heat winner Jeff Mathews rounding out the top five. This order would hold through several lap four restarts, most for single car spins. A red flag condition developed when Wallace Peacock struck an inner barrier tire on a restart jamming up eight cars in the first and second turns. 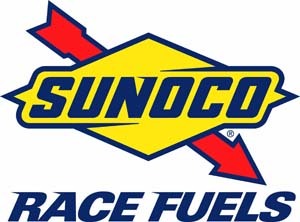 The spate of cautions finally subsided and the racing action began to intensify with the lead changing hands three times before the next caution. Mathews went to the front on lap six, only to lose the top spot three laps later to Dixon. He would keep it until lap 12 when 2011 champ Travis Varnadore owned up to it. Varnadore wouldn’t keep it for long as he drifted up the track on a restart, allowing Dixon to get back in front, a position he would never relinquish. Dixon celebrated with his three-month-old daughter, who was on hand for her first race, providing a special moment for the family and supporters on hand to witness his first East Bay victory of the year. There were 26 Pro Late Models on hand for the special event. The Florida Mod-Lites made their first appearance of 2019 and brought an impressive car count of 18 cars. Sarasota’s Austin Martin backed up an earlier heat race win by claiming the 15-lap main. Martin was forced to do the chasing early on early race leader Tim McLeod appeared to be in control. McLeod’s lead would vanish when he spun in turn two as Martin inherited the top spot and never saw a serious challenge en route to the victory. Darren Bass, who had won his heat race was running a strong second until a late race spin removed him from contention. Tim Gay showed the way in Street Stock action, which saw one of the closest finishes of the night. As the laps ticked off, Billy Barstow kept closing ground on the race leader, but was unable to sneak by for the win. Matt Bozeman opened the night with a heat win. Defending division champion George Handy was finally able to shed the monkey from his back, capturing his first feature of the year in V-8 Warriors. Gary Lucas came from the back of the field to record a runnerup effort. Wayne Haynes, in his first 2019 start, recorded the heat win. Robby Hoffmann put on another dominant run to capture hi third Mini-Sprint main of the season. Hoffmann used the outside line to gain ground on early leader Jamie Tinkham and was able to pick any line throughout the race. Hoffmann was best in the earlier heat. The Studio Red Salon Gladiators brought 20 cars for their fifth night of action in the season. Defending champion Daniel Bowman was able to break free and score the win a week after watching his brother Kyle in Victory Lane. Thomas Adams had the early lead with Bowman in hot pursuit. Positions were swapped inside the top five with regularity but Bowman was finally able to assert himself by Adams for a lead that he would not give up. Logan Casteel and Kyle Bowman were best in the heats. 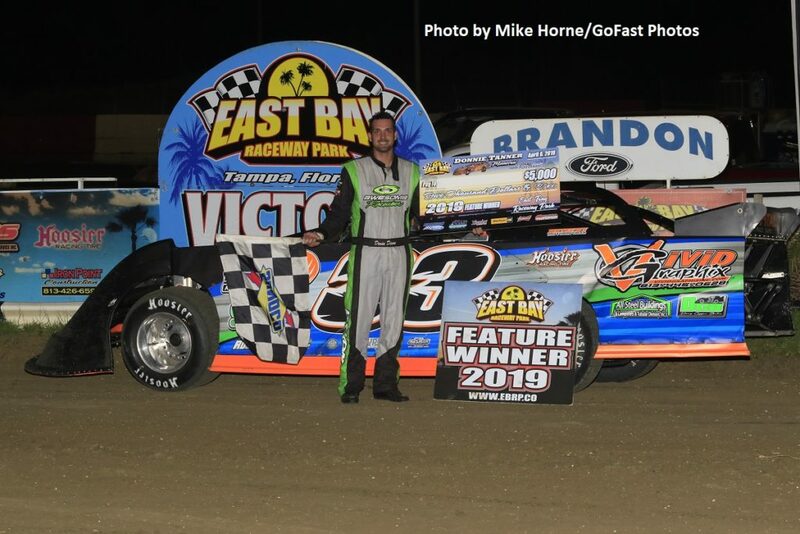 The next racing action for East Bay Raceway Park is Saturday, April 20 with Gagel’s Modifieds, Late Model Sportsman, Outlaw 4s, Micro Sprints and Florida OldTtime Modifieds. Young fans will receive Easter candy treats at intermission.